In Billings we parked at the Billings Village RV Park. Like many towns in this part of the country, Billings came into existence because of the railroad. Named after Northern Pacific Railroad president Frederick H. Billings, the city was founded in 1882. The railroad formed the city as a western railhead for its further westward expansion. At first the new town had only three buildings but within a few months it had grown to over 2,000. This spurred Billings’ nickname of the Magic City because, like magic, it seemed to appear overnight. Billings is the most populous city in the state of Montana and the only one with population exceeding 100,000. 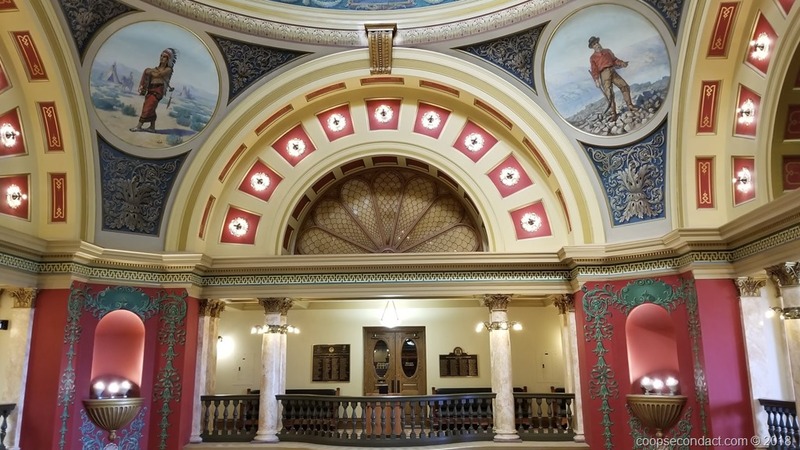 It has become an economic power for the region that encompasses eastern Montana, northern Wyoming and western North and South Dakota. 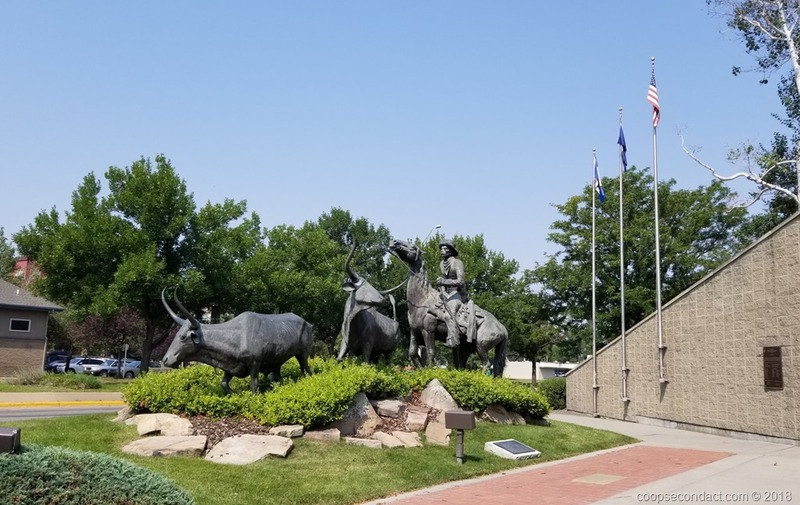 The Bakken oil development in eastern Montana and western North Dakota, the largest oil discovery in U.S. history, has been a force in the continued growth of Billings. While visiting Missoula we parked at the Turah RV Park about 8 miles east of town. Missoula is sometimes referred to as the “hub of five valleys” since it sits at the convergence of five mountain ranges. The Lewis and Clark Expedition brought the first US citizens to this area, stopping near here twice. After Billings, Missoula is both the second largest city and metropolitan area in Montana. In addition, it is home to the University of Montana. 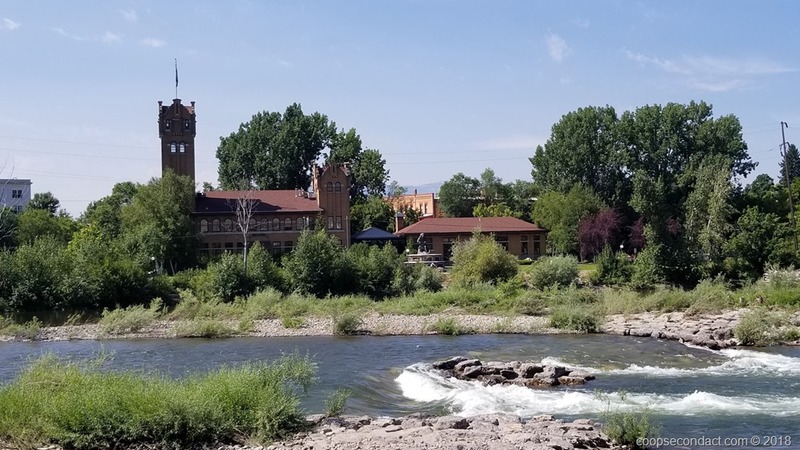 We enjoyed exploring the town, both the historical section as well as the parks and walking/biking paths along the Clark Fork River. Our schedule coincided with their monthly “Out to Lunch” event which included live music and numerous food trucks. Rollins is on the western shore of Flathead Lake, south of Glacier National Park. We parked at Rollins RV Park. 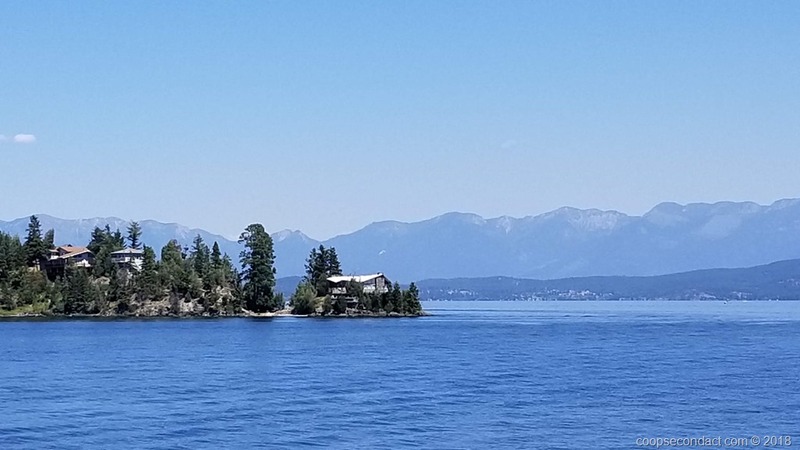 Flathead Lake is the largest natural fresh water lake west of the Mississippi River. By surface area it is apparently just very slightly larger than Lake Tahoe but I would think that as water levels change, the honor could go to either of these two lakes. Flathead Lake has a much more irregular shoreline than Lake Tahoe giving it lots of inlets and bays. We took a boat tour from the town of Lakeside. We were told that the water is clean enough that many homeowners on the lake pull their water from the lake using only basic filtration.